Music in Minnesota. We know how to do it and we do it well. 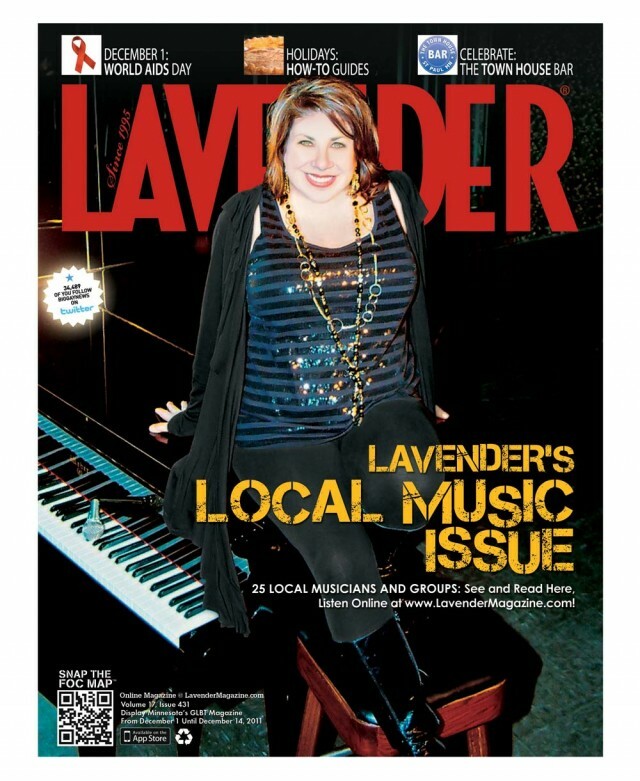 Lavender is taking on the scene with our first annual Local Music Issue–believe us, it is the tip of the iceberg. We’ve only just begun. Don’t stop us now, we’re having such a good time…we’re having a ball. Just sing, sing a song. Ed Huyck profiles ten of our top musicians and groups (follow links below), Andy Lien gives the Lavender List of links and who-to-listen-to, and E.B. Boatner tells about Jacob Sustaita, the new director of the Minnesota Philharmonic Orchestra, and the Twin Cities Gay Men’s Chorus’s upcoming holiday concert, Yule Be Swingin’. I just saw them perform at the Charlie Awards right before this issue went to press–yes! They’re amazing! Maybe we’ll feature them in the next year (or in next year’s). Good suggestion.